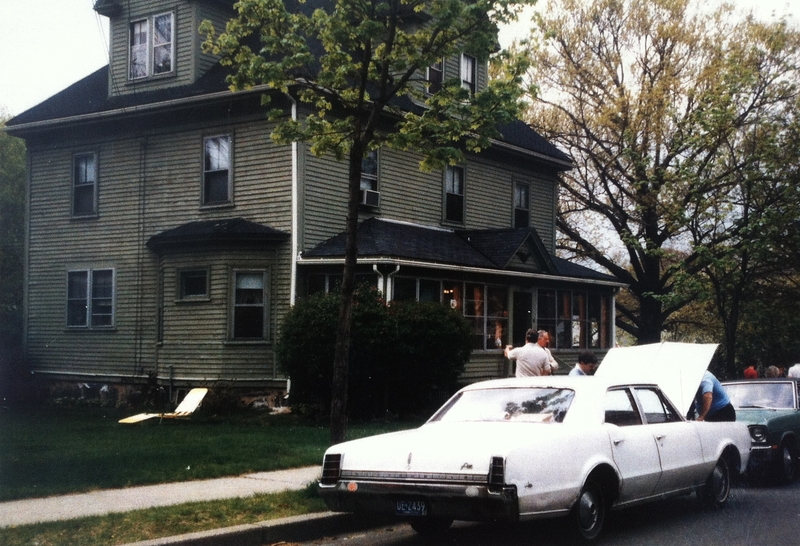 It was at two years old  that I—and the rest of the family—we moved to Philadelphia area, Drexel Hill, 325 Riverview Avenue. That just sticks in my mind and Drexel Hill. We did that because Dad [Taylor] was in the navy. In the First World War, he was a seaman. In the Second World War, he became an officer to the point where at the end of that war and in retirement, he was a captain level, which is the same as a colonel in the army, which is quite an honorable position. Dad was a determined guy and a very much of an expert or—let me just say—a perfectionist. He was an accountant before the navy and after the navy and he taught at Bentley University, Bentley College, which now is a university. In the navy, back to the navy, back in the Second World War, we were at this place in Drexel Hill. 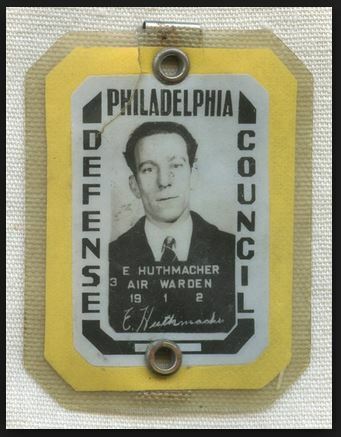 After the war—and I recall the VJ Day—and there were some things that were outstanding that I recall in Drexel Hill. Because I have some very creative brothers, they taught me that Japanese planes were coming in to bomb us. The story had gotten around. They put me in a two-sided porch, two-windowed, windowed on two sides. All I could see was these Japanese planes coming down to bomb us during the blackout time. Blackouts meant everybody had to turn out their lights in the whole city because they thought that—it was actually in relationship to Germany—because they thought the Germans would fly over and see the houses and see the outline of the houses on ultra—not ultraviolet, but red—infrared vision of the housing and would bomb. We’ll we didn’t know that and we had the blackouts anyway. Dad, Taylor Albert Duncan Senior, he was one of the wardens, who went around the streets when he got home from the navy time, and he would insist that the city was blacked out. Of those around in his neighborhood, he was responsible. He would make sure that people had their lights out or you couldn’t see it in the houses with lights. And so that is one of the very prominent memories that I have of the Second World War. I have other little memories, but that was a very outstanding one. I was for sure I could see these Japanese planes because, as I say, I have very creative brothers. They would tell me about all this was happening. It, of course, never did happen. What do you remember of the blackouts? What stories have your folks told you about that period? Do you recall Grandpa Taylor serving as an air raid warden? What can you tell us about it? Did he wear a special patch, badge, or uniform? Did he have to “report” houses that weren’t blacked out? How did he deal with enforcement? Do you remember Steve sleeping on this porch? Do you recall him expressing fear? Do remember the “Japanese bombers” story? What can you tell us about it? This entry was posted in Steve, Taylor and tagged 1942, air raid warden, Bentley College, blackouts, Drexel Hill, Navy, World War I, World War II on January 28, 2015 by Dawn Duncan Harrell. Miss Ring was a librarian in Boston. When we bought the house in Auburndale [16 Washburn Ave.], she was part of the deal. She got to keep her room in the house. When Tad/Junior and I were about nine or ten years old, she invited the two of us down to a house in Chatham that belonged to her sister. They were two spinsters: Miss Ring was thin and her sister was stout. Her sister had been married, but her husband died. She had also lost a son in World War II. Tad and I played in the ocean with an inner tube. I remember that eventually my chest hurt from rubbing against the rubber. Eventually Miss Ring built a house right beside her sister’s. I’ve gone back to try to see those houses, but I’ve never found them. Otherwise, I only remember coming to the Cape three or four times and mostly for day trips. There was no Route 6. We came down over the Bourne Bridge and followed Route 28 the whole way. I was so car sick that my father had to pull over on the bridge, so I could vomit out the window. The only thing I had to rinse my mouth was Coca Cola in a bottle. One Fourth of July, we drove down to Chatham, but it was so cold and foggy we could only get out of the car for a few minutes. We got back into the old black Pontiac and wrapped ourselves in a blanket. Most of the family was squashed into the car, so that I, being the smallest, only had a corner of the back seat bench. I was so uncomfortable. Another year, Betty took a job as a waitress at the Chatham Bars Inn, where they allowed her to practice at the grand piano every day. One of the guests heard her and arranged for her to play a concert for all of the guests. The family drove down for the concert. I think she played the Warsaw Concerto. What was Miss Ring’s first name? How long did she live with the family? What library did she work in? 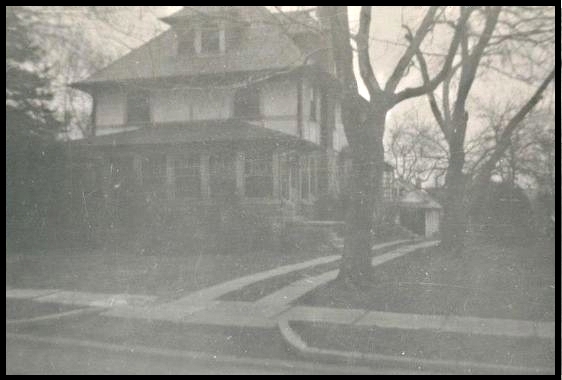 What year was the house on Washburn Avenue purchased? 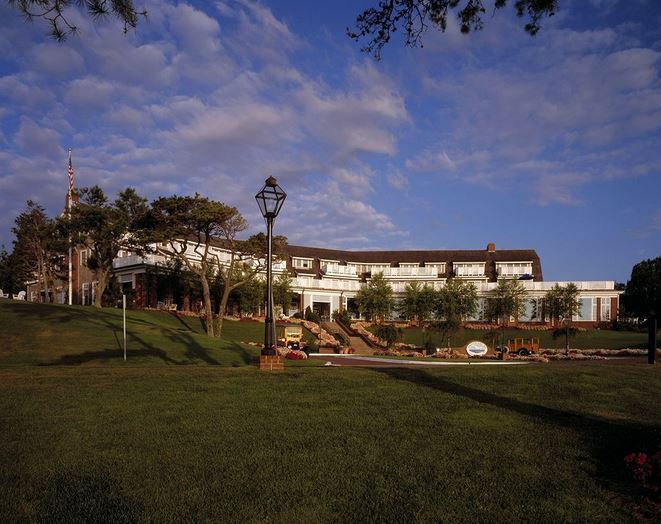 Can anybody else add details concerning other Cape Cod trips and when they were taken? Photos? What year did Betty work at the Chatham Bars Inn? Was Steve correct? Did she play the Warsaw Concerto? What year and model was the black Pontiac? Does anyone have a photo of it? This entry was posted in Betty, Steve, Tad and tagged 16 Washburn Avenue, 1949, 4th of July, black Pontiac, Cape Cod, Chatham Bars Inn, Coca Cola, Dawn Harrell, Miss Ring, Route 28, Route 6, World War II on September 17, 2014 by Dawn Duncan Harrell. During World War II, most of the men were away in the service leaving mothers at home to raise the children. Certain resources were at a premium and were being used in the war effort. Scrap metal would be melted down and used in military products, so there was a collection point where people would donate their items. Wally, mistakenly thought that if he were to donate an item, he could take another off the pile that weighed the same. There were two Civil War cannons that he thought were pretty neat. He got an old heavy water heater and exchanged it for the cannons. Wally’s bedroom at 325 Riverview Cove [Avenue] in Drexel Hill, a suburb of Philadelphia, was way up on the third floor. He mounted the cannons pointed from his window in the front to the sidewalk below. It wasn’t long afterwards, when there was a knock on the door. A policeman confronted Virginia as to why she had the cannons. Needless to say, Wally had to surrender the two cannons. Was Wally punished in any way by Grandma or the police? What year of the war (1939–1942) do you think this was? Did any of the rest of the kids know he had those cannons? Lee, Betty? Steve was extremely young or possibly in utero. This entry was posted in Virginia, Wally and tagged Barbara Duncan, cannons, World War II on May 14, 2014 by Dawn Duncan Harrell. [Betty]: He [Taylor] wasn’t around much. Daddy would go to church if he was in town, but he made no effort to engineer getting us to church. He would be in the car beeping the horn on Sunday morning. When we went to Park Street Church, he would drive us and sit in church. I think he went to the drug store to get a Coca Cola while we were in Sunday school. The idea of missions started with Lee when she felt called of the Lord. When Lee decides something, you don’t get in her way. She was very serious. I was afraid to ask my father to leave the country, but he was extremely pleased. It was a surprise to me. I thought he was against his girls leaving home. Education was what was important to Daddy. He had three different master degrees. He thought we should have as much education as possible, the boys and the girls. So I attended Boston University. I paid for it on scholarship, and Wally and Lee helped financially, too. I studied music, music history and piano, for two years and then transferred to Wheaton for a Christian background. There I had a partial scholarship and I did the work-study program. I washed dishes and worked in the snack-bar. It was marrying Harley that got me involved in France. Fine with me, I thought, but I don’t know anything about it. We were in Helsinki for four nights. The auditorium was packed out. We were in a big downtown church. Over 110 people came to the Lord. After we gave the invitation, I turned around to move chairs in case people came forward. When I turned back, the aisles were full and they were still coming. During the days, a fleet of taxi cabs took us to meetings at a school, a church, a park, factories, and even with dancers. One of the seven pastors at the cathedral asked us to cancel the rest of our tour in Sweden and stay in Finland. Initially we said yes, but in praying about it, we decided no. We had made commitments. They booked our return tickets and promised to outfit us with warm clothes. They put a tentative reservation on the Olympic stadium being built for 1952 Olympics. They promised to fill the stadium with 75 thousand. We returned to the US by ship and slept whole time. We’d had three 1-hr meetings every day plus evening concerts for entire six months. Two of the fellows went back to school so they wouldn’t be drafted. The group disbanded. I thought the world had come to an end. We’d sung together for five years. At the end of our Sweden tour, we’d traveled down through continent to reach our ship. We saw the wartime desolation. As we passed Cologne, Germany, I looked out the window. It was black. There was no building over one story. Rubble everywhere. But the spire and flying buttresses of the cathedral were in perfect condition, which is a tribute to American bombing. The bombers saved that. That is what gave me a vision for missions in Europe. Anyway, it was raising money to go back to Finland that introduced me to a European missionary to Japan. She stayed at their house. She married a doctor. This is what gave Betty a vision for missions. Then we were introduced to Greater Europe Mission. Do you have a photo of Harley and Betty embarking on their first France trip? Can we see it? How about one of Betty’s graduation from college or Harley with his singing group? Can you add details to the story of the missionary to Japan and her influence on Betty? Can you tell more about the process of finding and joining GEM? What year was that? What years was Betty at BU? At Wheaton? This entry was posted in Betty, Lee, Taylor, Wally and tagged Boston University, Finland, Greater Europe Mission, Harley Smith, Royal Aires, Sweden, Wheaton College, World War II on April 16, 2014 by Dawn Duncan Harrell. During World War II, we were living down in Philadelphia because Daddy was stationed there in the Navy. He lived with us, but would travel elsewhere when the Navy asked him to go one place or another for short periods of time to help with accounting. Wally and Mother started “Crusade for Christ” in our home. We would invite school friends and every Saturday night, we’d have a little get together in the living room. Sometimes we’d have special speakers. I invited Patty Dohan, a school friend. She came once or twice when we were in the eighth or ninth grade. All of the sudden, I found her address some years ago and sent a Christmas card. We hadn’t seen each other for seventy years. And she called on the phone. We picked right up where we’d left off. By the time we were back at Newton Corner (Mass. ), Crusade was large enough meet at church. Lee was already at Gordon College (Then she went to Wheaton.). This was when we lived on Washburn Avenue. To advertise the beginning of Crusade for Christ, Wally found some armor. The only one small enough to fit in it was Tad, so he wore it. Wally put him on top of the hearse and drove around. Tad was maybe 15 years old (~1952) and he was the only one small enough to fit into the suit of armor. It was real armor that Wally had gotten from an antique shop. I don’t know how they let him borrow it. Anyway, in those days, people were much smaller, so Tad had to wear it. He only wore the top part, though, because if he’d worn the bottom part, he wouldn’t have been able to bend. He knelt on top of the car on a roof rack of some sort, and Wally drove around making the announcement over a loudspeaker that was connected to the car. It seems to me this was one of those Duncan schemes. Tad couldn’t wear a sweater or coat under the armor because it wouldn’t fit, and it was cold as anything, maybe October. Have you heard this story? What can you add to it from your memory? What happened to the armor? How did Wally manage to convince the antique story to lend it to him? Has anyone got a photo? We would be so lucky. Aunt Betty remembers Lee attending Gordon College. How long was she there? This entry was posted in Betty, Tad, Wally and tagged 1952, armor, Crusade, Newton Corner, Patty Dohan, Philadelphia, World War II on December 11, 2013 by Dawn Duncan Harrell. Mr. and Mrs. Taylor A. Duncan of 16 Washburn Ave., Auburndale, with their six children and families, hired a motel near Manchester, N. H. last weekend for their first family reunion in 13 years. The 28-member clan, lacking only one youngster who had the mumps, included Mrs. Willard Kindberg (Virginia Lee Duncan) and Mr. Kindberg, who have returned from the jungles of Peru where, since 1952, they have been working with the Campa Indians, translating and defining the language of the people, preparing young natives to teach it, and establishing schools. Mr. Kindberg is a translator with the Wycliffe Bible Translators, a Protestant mission society. Mrs. Kindberg was the first graduate of the nursing school at Wheaton College in Illinois. There are six children in their family. Mrs. Harley Smith (Betty Duncan) and her husband and two children, [sic] home from Paris, France, where they operate a school for Greater Europe Mission (Protestant). Mr. Smith is business manager for the European Bible Institute in Lamorlaye, France. Mrs. Smith, a graduate of Wheaton College, Illinois, is a teacher of music. Mr. and Mrs. J. Wallace Duncan and their four children [sic] from East Haddam, Conn. Mr. Duncan is a quality control engineer with Winchester Electronics Co. in Waterbury. He is a B. A. graduate of Gordon College, Wenham. The Rev. and Mrs. Robert Duncan and their three children [sic] of Mattapan, where Mr. Duncan is the minister of St. Paul’s Presbyterian Church. St. Louis, Mo., is the home of Mr. and Mrs. Taylor A. Duncan Jr. Taylor, a graduate of Northrop Institute of Technology, Inglewood, Calif., is with McDonald Aircraft Co. in St. Louis. The youngest son, Bertrand Stevens Duncan, was graduated this June from Boston University with a degree in psychology. “Steve” is working as a laboratory technician at St. Elizabeth’s Hospital in Brighton. He plans to study medicine. 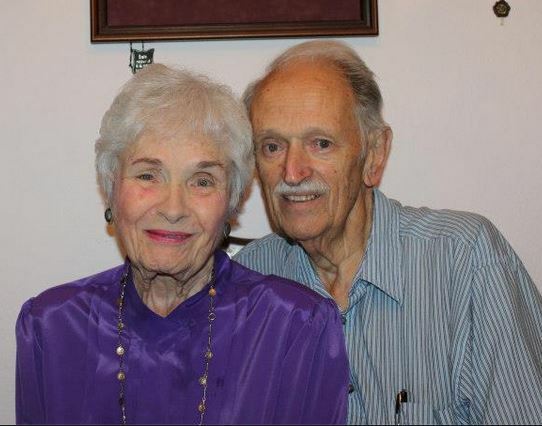 The senior Duncans, who will have been married 40 years on July 25, have lived in Newton since 1935. They left their first address on Hartford St., Newton Highlands, at the outbreak of World War II when Mr. Duncan reentered the service. He had been in the Navy during World War I and after that had gone into public accounting, getting his CPA in 1925. He entered teaching when he was called upon to fill a temporary vacancy at Temple University in Philadelphia, continued on a part-time basis, and was later called upon to set up business courses at Girard College. During World War II Cmdr. 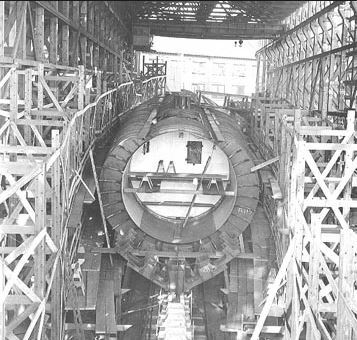 Duncan spent three years in Philadelphia where he was in charge of a $115 million airplane contract between the Navy and the Budd Co. Later he was transferred to Portsmouth, N. H., where he served as the yard’s fiscal officer. Mr. Duncan says he has retired twice. He left the Navy as a captain in 1932. Then he worked for General Electric Co. for more than five years as manager of a special auditing project in which he organized a staff of auditors. He retired in 1957. For five years before World War II and for five years afterward he taught accounting, economics, and finance at Bentley College. He has also taught in the Boston University School of Business Administration. Colin or Aunt Polly, what’s the name of the newspaper and the date of the edition in which this article appears? Best guess, anybody? Which cousin had the mumps and couldn’t come? Can you tell who stayed home with you? Tell us about having the mumps. How long did it last? Did anyone else in the family get it? Virginia, what year did Aunt Lee graduate from Wheaton as the first graduate of the nursing school? What was it like being the first graduate? What, exactly, does that mean? Was there no one else in her class? How big was her class? Was the program up and running or were there fits and starts? How long did it take her to get through? Why did she choose nursing? Why Wheaton? 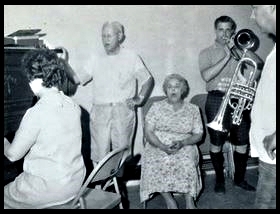 Uncle Harley, Debby, Sandy, did Aunt Betty teach music in the school in Lamorlaye? Or did she take private students only? Did she teach anything else in the school? What was the school’s name? I presume it’s Aunt Betty playing the piano in the photo above. Am I right? Is Uncle Harley holding the trumpet? Jimmy, Diane how long were you all in East Haddam? Why did you move? Can you describe your house? Remember your address? What ages were all the kids? How long was Uncle Wally with Winchester Electronics? Was he always quality control there or did he move around in jobs, up the ladder or otherwise? How did he get that job? Why did he leave? Aha! The name of Uncle Bob’s church in Mattapan was St. Paul’s Presbyterian Church. Aunt Polly, what position did he serve there? What were his dates there? Was he still in seminary? Where did the Bob Duncans live at that time? How old were the kids? What happened to St. Paul’s that I can’t find anything about it on the web? Gloria, Trey, how did Uncle Tad end up on the other side of the continent in California? What did he do with McDonald Aircraft? How long was he there? Did he move up in the ranks, move around? Why did he leave? What did he go to? Does your mom remember that time? What does she recall? How did they feel about moving to St. Louis? Dad/Steve, can you tell about getting the lab tech job at St. E’s? How long were you there? I’ve never heard about that lab tech job. Why not? What else was going on at the time? Were you dating that painful pre-mom woman still? Anything else anybody wants to tell us? 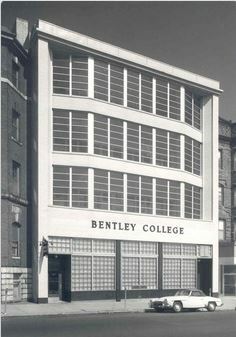 This entry was posted in Betty, Bob, Lee, Steve, Tad, Taylor, Virginia, Wally and tagged 16 Washburn Ave, 1965, Bentley College, Boston University, Budd Co., Campas, East Haddam, France, General Electric, Girard College, Gordon College, Lamorlaye, Mattapan, McDonald Aircraft, Navy, Newton, Newton Highlands, Northrop Institute of Technology, Peru, St. Elizabeth's, St. Louis, St. Paul's Presbyterian Church, Wheaton College, Winchester Electronics, World War II on October 30, 2013 by Dawn Duncan Harrell. [Barb]: You had four children at Drexel Hill and somewhere along the line you had two more. [Virginia]: Those were all in Massachusetts, after I got to Massachusetts. [Barb]: During the war you were moving back and forth, Philly to Mass. [Virginia]: I think—I don’t exaggerate—we moved first from Boston to Philadelphia. Back again to Boston again because Daddy [Taylor] was sent to the Navy yard. You know, before that he was all over. Then back again to Boston. This time he was sent to New Hampshire. [Virginia]: To the Navy yard in New Hampshire, which was on the border. I mean, it was easy to get from there to where we lived. He was up there most of the time. It was many hours in between. In the meantime, he applied to the Bentley School of Accounting and Finance [now Bentley University, Department of Accountancy] because he could see the writing on the wall that the war [World War II, ended 1945] was going to end, you know. He wanted to be prepared, to see if he could get his job back as a teacher, as an instructor, as a professor. He was never a real professor because that’s a specialty, but he was an instructor under Bentley. Mr. Bentley was a very exacting man. My husband didn’t get along too well with him. As you can imagine, they were two of a kind. He thought an awful lot of my husband’s ability. I was always very proud to have him working there because you had to have a pretty good standing or you could never get a job in that school. All this time our family was growing up. Wally especially was into this and that and the other thing because he was getting older. He had graduated from high school and college. He hadn’t graduated from college yet, but he was going into college, into Gordon, Gordon Seminary [now Gordon-Conwell Theological Seminary]. He loved it very much but it was pretty confining and Wally never was one to be confined much. He always wanted to spread out. What do you remember of all this moving around about which Grandma speaks? Presumably Grandma is speaking about World War II when she says it was ending. Can you verify that? Can you tell more about Grandpa’s work in Portsmouth, New Hampshire? Can you tell us more about his work at Bentley? Can you pin down the exact year that he went to work at Bentley? Had he worked there before the war? This entry was posted in Taylor, Virginia, Wally and tagged Barbara Duncan, Bentley School of Accounting and Finance, Boston, Drexel Hill, Gordon College, Gordon Seminary, Philadelphia, Portsmouth Naval Yard, World War II on September 18, 2013 by Dawn Duncan Harrell.